If you follow me on Instagram, you might have seen the Cut Loose Quilt that I made for Denyse Schmidt's quilt market booth. The free pattern is finally available! The quilt that I made for the booth was a miniaturized version of the pattern (I think around 45" x 60") and the pattern makes a 68" x 85" quilt. It uses Denyse's beautiful Washington Depot collection. It is now available (for free!) on Freespirit's website. I have designed a couple quilts for them over the past few months and haven't taken the time to share them here, so I will be posting those over the next few weeks. Beautiful! I love the design and how you placed the colors. Thank for nothing. Can't print it. Can't save as a PDF. Worthless. I'm so sorry! If you could let me know your email address, I can email you the PDF. Thank you! This will be on my quilt bucket list! It's beautiful! Thanks....no problem downloading and saving. Looks like a fun quilt! Erica, this is GORGEOUS!!! Love it! This is so gorgeous. You did such an amazing job. The link is not going through for me, could you possibly help me out. Oh nevermind. I got it to come up today no problem - I must have had a bad connection yesterday. 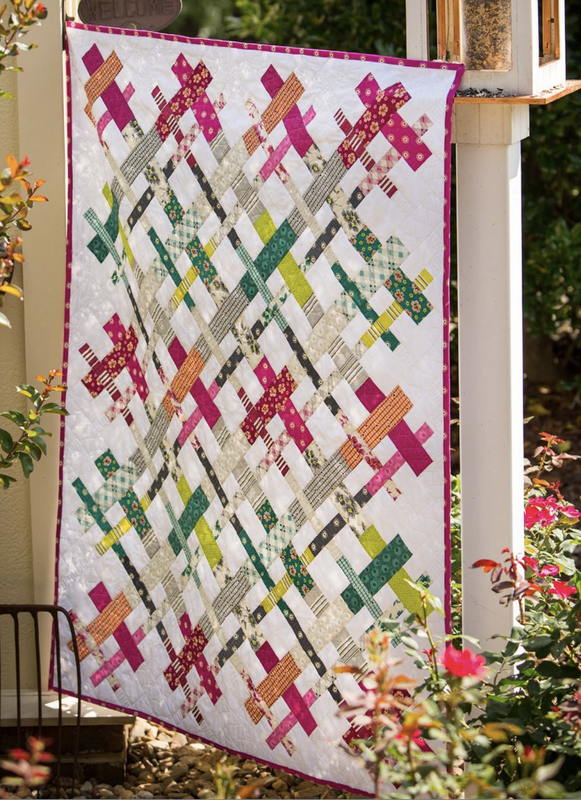 Again - so in love with this quilt.